First time offered! One of the most beautiful of all mantids! Nymphs are supplied, over 1 cm long, so well established and able to catch food. 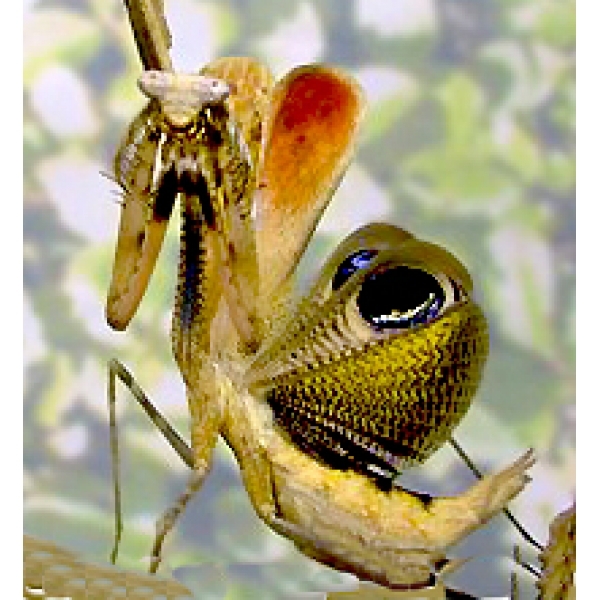 Mantids do not feed on greenery. They catch live insects for food and you must ensure that you can give them such things as fruit flies, small crickets and possibly maggots. They must be kept each one in their own cage or cylinder. Before ordering, please familiarise yourself with the needs of mantids.